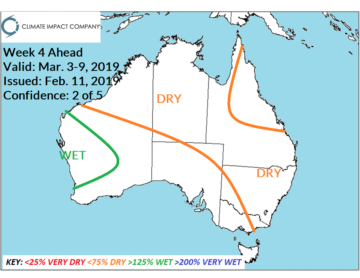 Discussion: The Australian drought intensified in January as “lowest on record” soil moisture widened in Queensland and central Northern Australia. 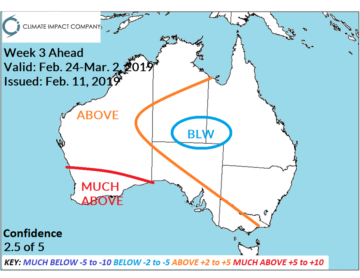 Below average to much below average soil moisture conditions cover much of eastern Australia except very wet northeast Queensland. Western Australia dryness also strengthened. 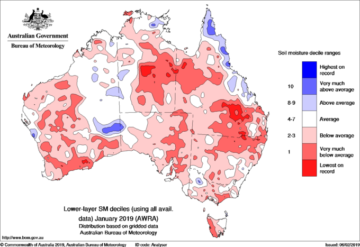 Comment: Despite a cool wave into southern Australia during the period the entire continent is drier than normal. 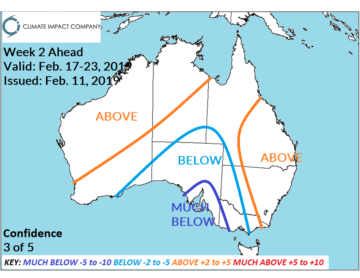 Comment: Mostly dry and warmer-than-normal; the outlook could easily be warmer East. 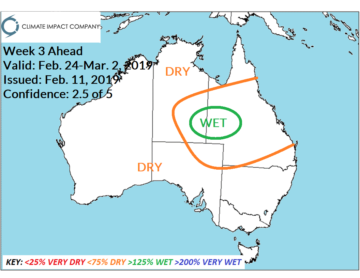 Comment: Overall dryness continues with wet risk across Western Australia. 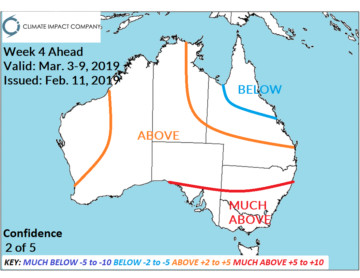 Anomalous warmth also dominates with hottest conditions compared to normal in the Southeast.